This week, going green has a different meaning from recycling. It means remembering the importance of pedestrian safety. Whether it’s wearing mismatched socks, having crazy hair or merely wearing a green ribbon, many schools this week are reminding their students about pedestrian safety. While it seems a simple task to tell people about street safety, sometimes a physical device like a green ribbon can make a huge impact. While these awareness ribbons are used year round, some of the most prominent reasons for wearing awareness ribbons happen around the starting of the school season. Many schools acknowledge Red Ribbon Week during the last week of October. Others include breast cancer awareness, literacy awareness and cultural diversity awareness. For a full list of awareness ribbon colors and months, a simple reference website is https://www.fundraisingforacause.com/ribbon-meanings-by-month.html. And, green ribbons are no different. From awareness and awards to wedding and event decorations, all ribbons have one thing in common: they create a social atmosphere. Ribbons are a perfect way to create fun. Whether it be part of a craft project or using them for decorations at your next party, they inevitably accomplish the same things. They drive your need to socialize. Getting everyone involved is key to this socialization. Parents and kids alike all need to be aware of their surroundings. And by dressing in green or wearing a colorful ribbon, everyone starts actively seeking safety. Parents can pledge to be more careful when driving, and students can promise to watch when they are crossing a street. Badge ribbons are a great tool when showing support and awareness for something like Green Ribbon Week. Many people wear name badges at work, so it is easy to attach a ribbon to an existing uniform piece. From blank badge ribbons to custom printed ribbons, design something that helps to get out your safety message. Rosette ribbons are a fun way to show off your chosen color. Add these fancy ribbons to outfits, notebooks or backpacks to show support and promote safety. From a place ribbon proclaiming safety as number one to a custom rosette, these ribbons help to pledge everyone’s awareness. Ribbon rolls make wonderful awareness ribbons. They are easy to make and perfect to attach to anything. 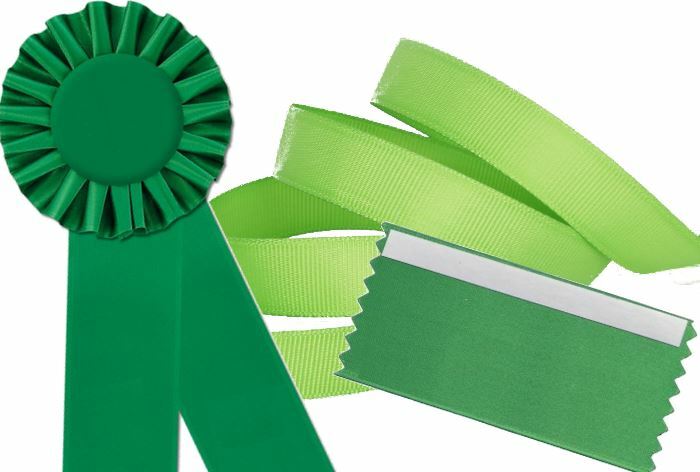 From car antennas to backpacks and people, tie a green ribbon around anything! 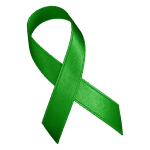 So, wear your green ribbon today to help promote safety.